With the release of the new PS4 exclusive Spider-Man receiving overall positive reception, and the movie Venom arriving in theaters early October, it’s a good time to be a Spider-Man fan. With a wealth of great movies, games, and comics, Spider-Man is still very relevant to everyone. So without delay, here is my ranking of the Spider-Man movies from worst to best. This was easily the worst movie out of the six. Its major downfall was the over abundance of villains and subplots. Tobey Maguire himself admitted that he was originally unhappy with the movie, which would later be the reason for his leave from the Spider-Man role, effectively killing the original franchise. While this movie had some good moments (Sandman was very well done.) it ultimately is seen (and deservedly so) as the weakest movie out of the six. This movie was very unneeded. While the parts between Peter and Gwen are the best scenes in the movie, everything else cannot save it. Peter Parker himself is a bit more witty and charming in The Amazing Spider-Man series. The main villain, Electro, doesn’t come off as menacing as he’s clearly meant to be. Overall he just seems very weak for a main villain role. He’s far better off not being in this movie, as it would actually make the movie much better as a result. This is where the movies begin to get pretty good. The Amazing Spider-Man is actually a very good attempt at a new, fresh start for Spider-Man in the cinema. They offered a good amount of backstory for Lizard, who is the main enemy for Spider-Man in this movie. The Lizard has always been more of a tragic character, and they did a very good job with him. Peter himself is a lot more fun in this movie because it is the first, so no one thought it could get a bit tiring. But, to be honest, this movie is actually very good. This was the original. This is the first, and for a first attempt, it was extremely well done. While Tobey Maguire was a bit more nerdy and awkward, it worked. It’s his origin story, and everything about the movie shows it. Even the Goblin works as a good introduction to Peter’s world. Mary Jane was also a big part in this film, with the famous upside-down kiss scene still being a classic. Overall, this is a great start to the Spider-Man series. This is the ultimate Spider-Man film. From its references, to the new actor, and many more. Tom Holland is the perfect mix of a nerdy and awkward, yet witty at the same time, leading to a great Spider-Man. 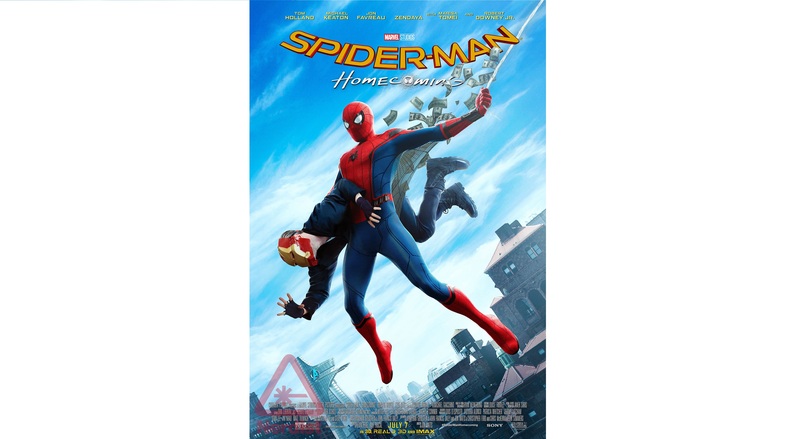 This is also a movie made by Marvel, which allows Spider-Man to finally be shown with other characters in the Marvel universe that aren’t related to Spider-Man. That alone opens up many opportunities to have a more involved Spider-Man in all of the Marvel movies now. The dialogue in this movie is great, the action is amazing, and the best part of all is that Stan Lee himself stated that Tom Holland is the perfect Spider-Man. I couldn’t agree more.